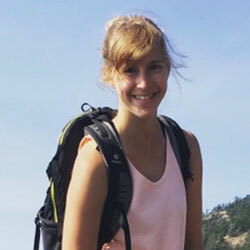 Leigh Ann is a Pacific Northwest native who loves the outdoors and thrives in the mountains. She grew up playing team sports and have always been fascinated by health and fitness. It wasn’t until after overcoming her own health obstacles that she found a passion for helping others become healthier, stronger, and fitter versions of themselves. She loves giving people the tools to discover capabilities they never thought possible and to help them succeed on their paths of self-improvement. 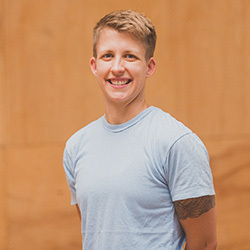 She blends tools and methodologies from various disciplines to develop a unique combination of stability, strength, agility, movement, flexibility, and conditioning to help people achieve their goals. As a mountain athlete, Leigh Ann trains hard in the gym and outside to increase durability, mental fitness, and to perform on the trails and in the mountains. She’s climbed several of North America’s tallest mountains and spends most weekends in Washington’s mountain ranges. She takes your health and fitness as seriously as she takes her own. 1. Summited Denali in 2015 as part of a four-person all-female team, The Denali Girls, who were all recipients of the American Alpine Club’s Live Your Dream Grant. 2. Worked with and learned from amazing coaches at the first CrossFit affiliate in the world, CrossFit Seattle. 3. My dog Beatrix is my favorite hiking partner. 4. Member of Seattle Mountain Rescue (SMR). 5. My favorite exercises are those that test, challenge, and build mental and physical toughness. For personal training options and price information for Leigh Ann, please see Tier 3 rates. Andi moved to the Pacific Northwest in September of 2014 after 9 years in the San Diego sunshine. After an attempt to continue their career as a tax accountant in Seattle they decided it was time to follow their fitness and coaching dreams, and they haven’t looked back. Andi has always been passionate about fitness and the many benefits it offers including mental, physical and emotional wellness. Having followed their passion, they work to play a part in helping others be the best version of themselves. 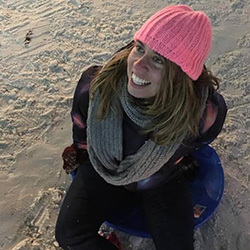 Through both personal injury and career development Andi quickly realized the need and importance of mobility, flexibility, proper form, and core stabilization. This quickly became a passion and driving force behind their continued education and career. This led them to getting 3 different certifications through Functional Range Systems (FRS). FRS emphasizes joint health, range of motion, and neurological control. Andi works to ensure that athletes are benefiting from their fitness endeavors through full body strength and conditioning. 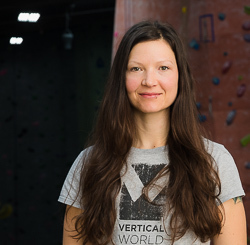 Andi’s health and fitness journey has since led them to Vertical World. Andi always does their best to keep themselves and those around them actively moving through life. 3. I spend more time with my greyhound then I do most humans. 4. Building models helps me relax and reduces my anxiety. 5. Reading is my favorite way to escape reality. For personal training options and price information for Andi, please see Tier 2 rates. Quinn is a Ballard native whose passion is grounded in outdoor adventure sports. She has a background working at local mountaineering companies such as Mountain Madness and KAF Adventures. Her mission is to enhance a client’s performance through education, building a foundation of strength and injury prevention. She enjoys helping people of all ages and abilities improve their technique and skills to improve their performance and quality of movement. Outside the gym, you can find Quinn rock climbing, backcountry skiing, hiking with her German Sheppard, road tripping around Washington, and consuming dirty chai lattes. For personal training options and price information for Quinn, please see Tier 2 rates. I teach Hatha Yoga – During my classes, I lead you through a slow and detailed exploration and understanding of your unique body, how it moves, how to breathe…and hopefully, how to laugh. I started practicing yoga consistently in 2012, and became a teacher in 2013. 1. My roller derby career lasted for two years. They called me One Tuff Mitch. 2. I speak fluent French. 3. There are 14 piercings (or 17 extra holes) in my body, and every one of them has a cool story. Kat first tried yoga in 2010, she was curious what all the fuss was about. She instantly and unexpectedly fell in love with both the physical and mindful aspects of yoga, and was surprised how much her practice helped her to live a richer, simpler and more meaningful life. 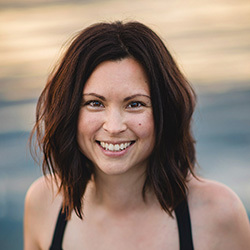 She wanted to deepen her practice and share the healing benefits of yoga with others, so she completed her 200-hr teacher training certification in 2013. Kat has since then taught at many different spaces and yoga studios. In 2014, she opened up her own yoga studio in Edmonds (Satya Yoga). She ran the business and taught there for over two years. She ultimately realized that it was most fulfilling to focus on her students through her teaching. Kat’s goal in her yoga classes is to offer a fun and accessible experience to everyone. She loves challenging her students, but it’s most important to her that anyone can find a welcome spot in her classes. She hopes that her students can take at least one learning from their yoga practice and fit it elsewhere into their lives. 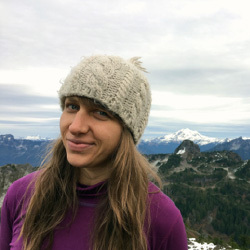 She loves climbing mountains and being outside, and is so excited to combine that with her love of healing with yoga. 2. I was born in Slovakia and emigrated here with my family when I was 6 years old. 3. I’m a graphic designer and have spent most of my career in marketing at REI. 4. I love to write. 5. I’m obsessed with being in the mountains! No place else I’d rather be. Jenna first found yoga as a moving meditation practice, while volunteering with the Earthchild Project in Cape Town, South Africa, in 2010, and has used her practice to find new light and ease in her life. 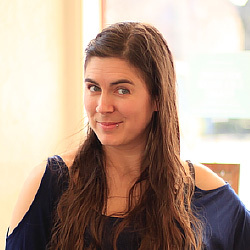 In 2014, Jenna completed her 200-hr teacher training from YogaWorks. YogaWorks offers a unique and practical approach that combines Vinyasa flow with an emphasis on detailed alignment and intelligent sequencing. 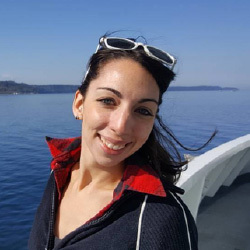 She weaves philosophy into her classes, and seeks to infuse each class with a sense of joy and leaves space to listen to your own body and needs. 1. In the summer of 2016, I hiked from Montana (where I’d been living for the past year) back home to Washington on the Pacific Northwest Trail. 2. I climbed Mt. Kilimanjaro with my mom for Christmas of 2010. 3. I’m a holisitic health coach, called to helping women step into their power and start rocking this world. 4. I once gave away everything I owned and got a one-way ticket to Istanbul to start a European adventure. 5. I lived in Kansas for 5 years, by choice, and while I loved it there, now that I’ve found the mountains of Washington, I could never go back. 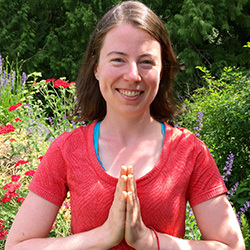 Suzanne is a compassionate and dedicated teacher and student of yoga who cultivates a deep respect and love for the planet, its people and all living beings. She first encountered yoga at the age of 14 and sensed that there was something deep and powerful about the practice. After practicing asana for many years, she decided to dive deeper into the teachings of yoga and its sister science, Ayurveda, and completed her 200-hour training through Synergy Yoga School in June of 2017. Her classes move at a slow and steady pace, with plenty of flowing and linking breath with movement, but also some longer holds of poses. Her teaching is both precise and fluid, encouraging students to listen to their bodies, explore their limits and soften into each moment. In each class, Suzanne’s aim is to help students re-center themselves and find more ease in life, to discover the deep well of peace, calm, and wisdom within. 1. I am a cat whisperer. Any time I come across a neighborhood cat, I usually succeed in coaxing it over for a few pets. 2. I have a tattoo of a dragon on my back. No, it was not inspired by the Girl with the Dragon Tattoo book/movie. 3. I love vegetables and probably eat more of them than most people. 4. I talk in my sleep and sometimes yell and wake myself up. 5. Berlin is my favorite city and I lived there for five months in college. Mei Ling sees yoga as a powerful tool to help calm the body and mind, which can provide clarity and reduce stress–something that is often needed in today’s fast paced world. She believes in the inherent strengths and skills in all students, and appreciates the uniqueness of every ability, body, and culture. Mei Ling’s teaching style is grounding, and supports students to move mindfully between the push and pull of life by honoring themselves and deepening the connection to their inner voice. In addition to teaching yoga, Mei Ling is also an applied researcher, clinician, and rock climber. 1) Challenging situations are her best teachers. 2) She has been known to eat everything with chopsticks. 4) She ran out of pages in her passport by age ten. 5) She despises shoes and would live in slippers if she could. My teaching style includes slow movement and meditation. The poses are set from the ground up and are rooted in anatomy and form. Slow flow and lots of stretching poses are weaved throughout class and body awareness, increasing strength and focus/concentration are the core concepts. Has been practicing yoga 18 years, teaching yoga since 2013. Samira’s passion for fitness began in Colorado, where she is from. The landscape beacons you to conquer it as best you can, it encourages you to walk, climb, jump, slide, ride. It’s out of this rugged landscape that her love of all things fitness arose after she realized that the cross training she’d been doing had prepared her to climb mountains, raft rivers, or canyoneering. Samira believes the true beauty of fitness is that it serves as a faucet to other areas of your life. The physical challenge prepares the body for anything, and mentally it toughens you to strive harder in all areas of life. Samira has been teaching yoga for over 7 years, but over her career has trained in ballet barre, strength and conditioning, and gymnastics. You can expect to get a unique workout with Samira, that will be sure to leave you remembering it a few days afterward. 2. And I am seriously nerdy about it ^. Ask me anything about any park and I could probably tell you extensively about it. 3.I am an avid rock collector, I have the most amazing collection of raw rocks you’ll find anywhere. 4. Since moving to Washington a year ago my favorite activity is somehow being on or in the water. I’m obsessed with the water sports culture here!